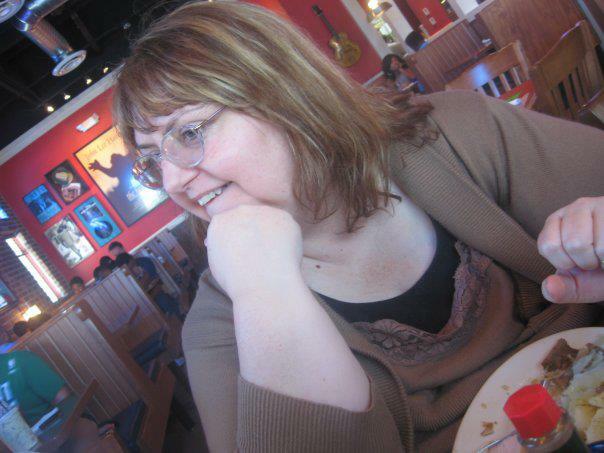 Kaye George is a short story writer and novelist who has been nominated for three Agatha awards and has been a finalist for the Silver Falchion. 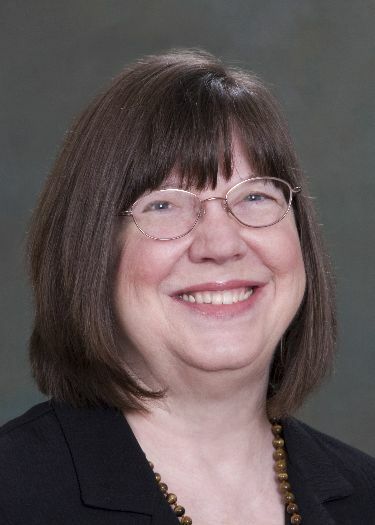 She is the author of four mystery series: the Imogene Duckworthy humorous Texas series, the Cressa Carraway musical mystery series, the FAT CAT cozy series (coming in 2014), and The People of the Wind Neanderthal series. Her short stories can be found in her collection, A PATCHWORK OF STORIES, as well as in several anthologies, various online and print magazines. She reviews for “Suspense Magazine”, writes for several newsletters and blogs, and gives workshops on short story writing and promotion. Kaye lives in Knoxville, TN. Kaye: All my life, since before I could form words on paper. Full time, I’ve been writing about 12 years. Kaye: My first huge moment was when my first short story was accepted. That same story later won an award. Just last week, I had a compliment on it. I’m so happy that Flash Mob has held up for a few years. When I wrote it, I thought that it had better get accepted soon or I would trash it, not knowing that flash mobs would be around for a long time yet. Kaye: Everything I expected and more! I always knew I wanted to write and never really expected to get published. I’ve made my way from self-publishing to small press to a Penguin imprint (Berkley Prime Crime), surprising myself no end! Every time someone accepts one of my projects, I’m still astounded. Kaye: I didn’t have any expectations of money, so I guess it has. I reported IRS losses for 10 years and made a teensy (3 figure) profit last year. I do hope my income keeps heading in that direction, but I’m happy just to be published and have people reading what I write. Kaye: Very much so. I thought that when I got published, that would bit it. I would have arrived. But there’s always another horizon. Get an award (or nomination), start another series, get another publisher, sell more books. The promotion takes much more time than I’d like, but I’ve learned that nothing happens unless I made it happen. People don’t come seeking my work. That would be nice, but I don’t think it will ever happen. Kaye: After I started writing full time, in novel form, about 10 years. I succeeded with short stories much sooner. That was about 5 years. Kaye: I’m not sure that I do that. I try, but I sure don’t so everything I’d like to. I’ll never live long enough to write all the ideas I have. If there were 50 hours in a day, I might do all the promotion I’d like to do. I’m a big believer in doing what you can do. That’s all you can do! Kaye: I’ll pass on the advice that was given to me. Don’t quit five minutes before you succeed. In other words, persist! Persist some more and keep persisting. The main difference between a publisher writer and an unpublished one is that the published one didn’t quit. I’ll give you the novels since the short story list (happily) is quite long. 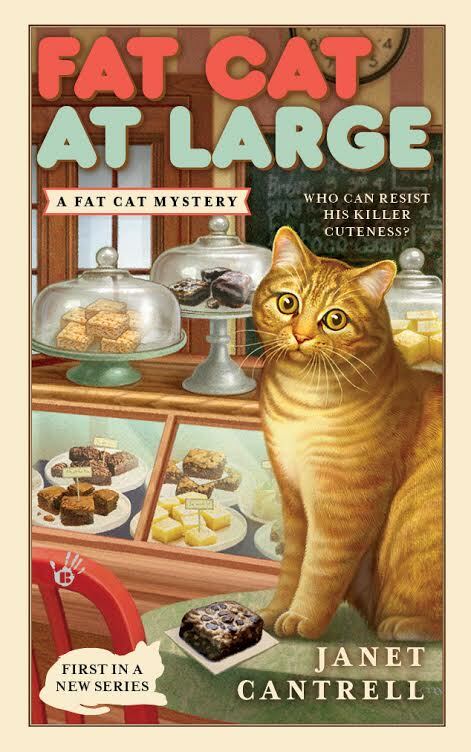 Fat Cat at Large: When she’s not dreaming up irresistible dessert bars for her Minneapolis treatery, Bar None, Charity “Chase” Oliver is running after her cat, Quincy—a tubby tabby with a gift for sniffing out edibles. But what happens when this cat burglar leads Chase to the scene of a real crime? Kaye: I’ve always wanted to write a gorgeous, lyric literary short story. If not that, then the Great American Novel. But I’m having so much fun writing genre fiction that I can’t quit. As a board certified rheumatologist, Glenn Parris has practiced medicine in the northeast Atlanta suburbs for over 20 years. He has been writing for nearly as long. Originally from New York City, Parris migrated south to escape the cold and snow, but fell in love with the southern charms of Georgia and Carla, his wife of nearly 23 years. 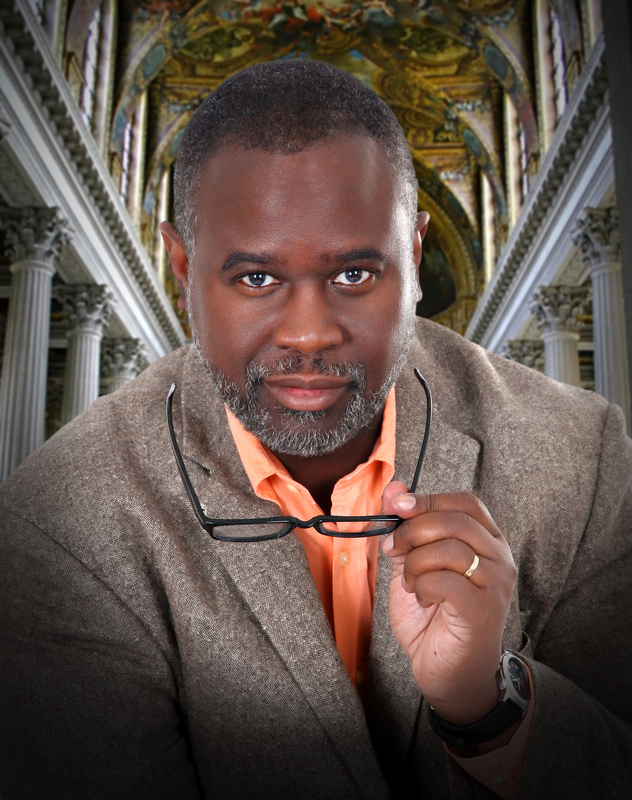 He now writes cross-genre in medical mystery, science fiction, fantasy, and historical fiction. The Renaissance of Aspirin is his debut novel. Glenn: I’ve been writing for pleasure for over 20 years, but I really think I started writing in 2010 when I went to a workshop for physician writers hosted by Tess Gerritsen and Michael Palmer. Glenn: I was extremely happy when the first few reviews started coming through. Glenn: No. I guess like all writers, I thought that writing my stories was the hard part. Developing characters, plot, tone, etc. that’s a major milestone, but the real challenge is marketing the book. Glenn: Say that to an audience of writers and you’ll get more laughs than a Robin Williams bit (rest his soul). You might make enough for a nice vacation if your sales are fairly good. You can do a nice renovation on a basement, kitchen or bathroom if sales are good, you might even put a kid through college if you’re lucky and sales are very good. Hit the jackpot and you can quit a good day job. Glenn: Writing the next story and getting the word out in advance to booksellers and reviewers. Developing a loyal audience is key in this day and age. Glenn: I self published which used to be a terrible thing to admit, but that lingers among agents and publishers mostly. I publish when I think the story is ready for the world of readers. For me it’s usually about two to three years. A little faster maybe for sequels. If you have a good editor and your story is popular, I don’t think readers make the distinction. Glenn: I would have liked to have met a good publicist before the release date and developed more of a plan. Glenn: You have to have good people around you who know what you don’t. When you self pub you need very good people around you. And a lot of friends. Glenn: Fans. I can’t find the words to describe the feeling I get when readers share my visions and feelings. Not everyone will like your work so no matter how you go about publishing you need a thick skin, but even critics who are honest sometimes give good feedback you may incorporate into future works. Glenn: The realization that so many people who identify themselves as readers can’t find time to read these days. PJ: What’s the most memorable thing (good or bad) that’s happened to you while promoting your book? Glenn: I got a cold call e-mail from an agent who heard the premise for The Renaissance of Aspirin, and asked to see the manuscript that she heard about from another agent I pitched to at a workshop. Glenn: This is the first work of fiction to address Fibromyalgia. It’s a condition that’s poorly understood even by experts in the field and so many suffers are shunned into silence as family and friends believe they are hypochondriacs. Glenn: Keep writing. The more you do it, the better you get at it. Read in your chosen genre and analyze what you read. It’s the cheapest workshop you’ll ever find! Work with other for feedback. Glenn: Even in this world of digital media, I find going where readers go to be the best strategy. Glenn: Digital media. Facebook, twitter and blogging don’t come naturally to me so I struggle with them. Glenn: Book Warehouse and Books for Less. Glenn: Book Warehouse, Books for Less, Amazon.com, Barnes & Noble and of course my publisher Xlibris of the Penguin Publishing Group. 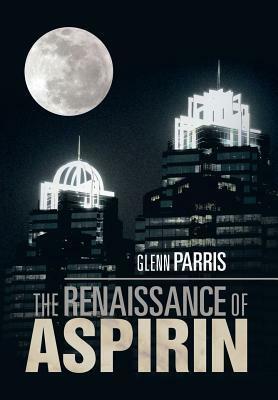 Glenn: The Renaissance of Aspirin is a modern southern romantic thriller. I think it works as a work of fiction, but the scientific theme reinforces the need for more research and support in fibromyalgia and other systemic diseases. I’m an Indie author and I don’t plan these events months in advance. I also do not schedule a book launch event for 12 hours or two days. The reason? Every time I receive one of these sorts of invites—I cringe. 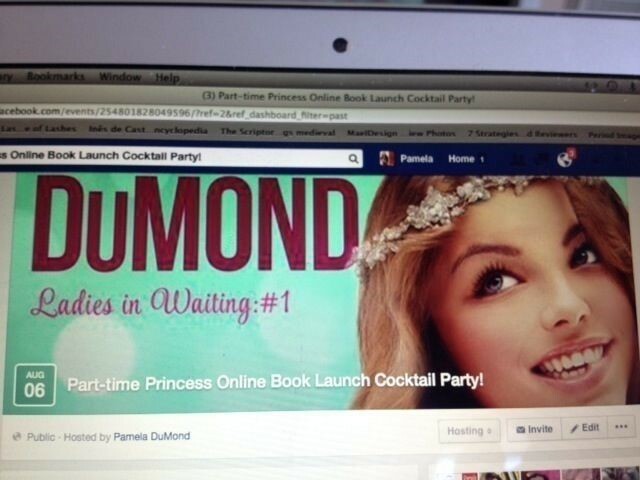 Because a 12 to 24 hour book launch sounds… DAUNTING. I have a life. My readers have a life. Then guilt creeps in and I wonder if I should hit the ‘Maybe’ button, which basically translates to ‘No— but I don’t want to hurt your feelings.’ Ack! So, instead I pick a date and block out two to three hours and create a Facebook Event Page. I named it something festive like a — Cocktail Party. I write a fun description based on my book. Part-time Princess: Hold tight to your tiara! Stop by and have some fun with other readers, writers, artists, musicians and wacky folks. There’s plenty of royal bling to be given away. Enter a photo of Who-Looks-Best in the Tiara Contest (You can enter ahead of time.) Issue your Royal edict. Virtual snackies, cocktails, champagne will be served. I invited people on my regular FB page when suddenly Facebook schooled me. I discovered that as of August, 2014, FB has capped the number of folks you can invite. So DON’T invite everyone. Only those you think might actually be interested. I ask my author friends to participate and post links and descriptions of their new books. The more the merrier. It’s a ‘cocktail party.’ It’s not a mandatory college lecture. I start posting links and comments, images, etc. to my Event Page ahead of time. I included my book’s description and a link to my book on Amazon. Consider the ‘THEME’ of your book and fashion a party around that. Part-time Princess has a ‘royal’ theme so I wrote up a couple of royal quizzes for folks to answer via multiple choice. These included questions about the movie The Princess Bride, notorious female royals in history and even trivia about Princess Grace of Monaco. I bought inexpensive princessy bling to award the winners of the various contests. Michael James Canales of http://www.mjcimageworks.com created a Part-time Princess Royal name Generator for me. 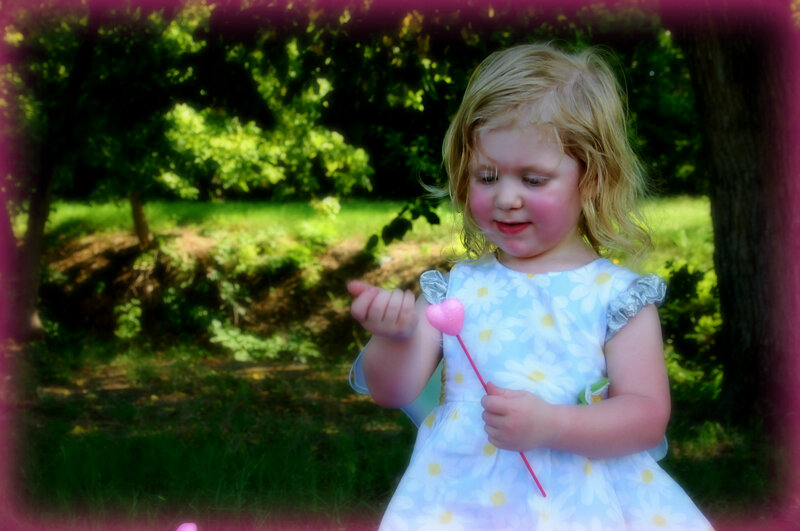 Happy Birthday to my beautiful granddaughter, Arabella! I read yet another announcement on Facebook this morning that said, essentially, I don’t care if your book is an Amazon bestseller, or if it’s been selected for reading by some book group I may or may not have ever known, if you keep posting advertising in this group I will NEVER read your book and I suspect I’m not alone in feeling like this. We’ve all seen similar posts and maybe have posted similar posts. I hadn’t had coffee yet, but it set my mind whirling. Most marketing experts tell authors to be more active in social media, to tweet their hearts out and make sure they’re posting regularly. And honestly, what is advertising but putting your product information out in venues where it’s likely to be seen by potential buyers? If I subscribe to a cooking magazine and sit down to read it when it arrives, I shouldn’t be surprised to find advertising in it that is somehow related to food. It’s expected, actually. I may not know the company that’s doing the advertising. In fact, I probably will come across quite a few products that I never knew anything about until I saw it there. I think that’s the point. Whether I like it or not, or will buy it or not, that’s a different story. If you ask some people what crosses the line from discussing or introducing a book to spamville, the consensus is often whether the poster is known to the group in which he or she is posting. At first thought, that seems logical to most and heads will nod. But can you give me a comparison from general marketing guidelines? Where are the rules? If you’re talking about groups to join on Facebook or LinkedIn or wherever, maybe that could be compared to those rare occasions when you get to watch a television movie with “no commercial interruptions”. I’m not saying spam is ok. I can get annoyed as anyone when that typical BUY MY BOOK tweet interrupts my feed for the umpteenth time and, no, I probably will not go buy the book. Society is bereft of the manners with which I was raised oh so long ago, so I shouldn’t be surprised when some trample over any semblance of etiquette in social media situations. But I admit as a publicist I do feel a twinge of regret that this person wants very badly to see his or her book succeed and it’s too bad that he or she is going about it in the wrong way. I’d like to think that if we ranted less and offered well placed advice more, there might slowly be change. But then few take unsolicited advice to heart and I don’t blame anyone for not wanting to stick their necks out. Pearls before swine, as it were. What are your thoughts? When does ill-advised attempts at advertising cross the line to spam? Have you met Tom Sawyer yet? 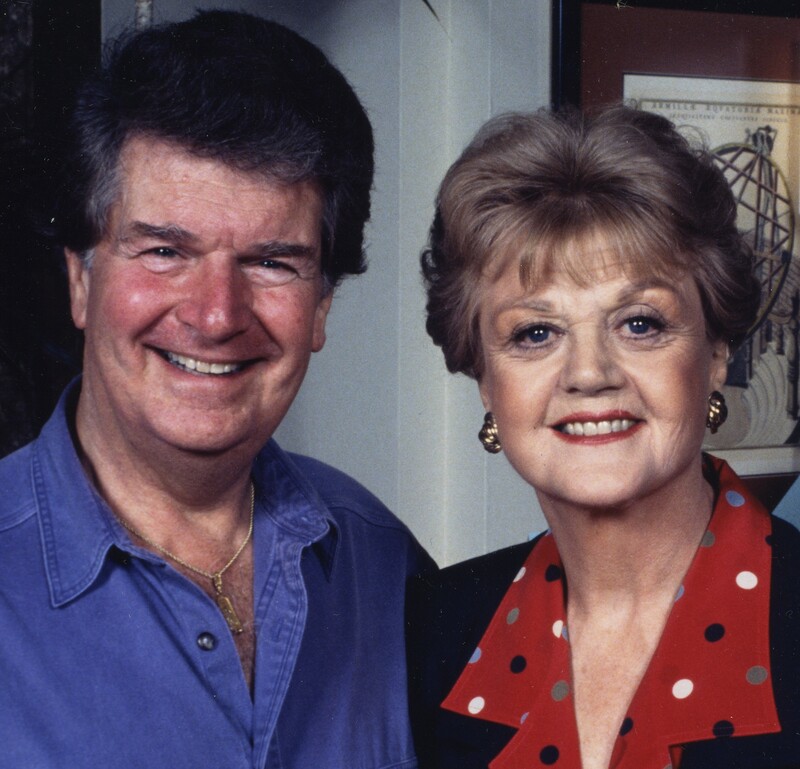 Edgar and Emmy-nominated, novelist, screenwriter, playwright Thomas B. Sawyer was Head Writer/Showrunner of the classic CBS series, MURDER, SHE WROTE, for which he wrote 24 episodes. 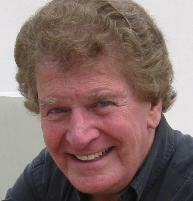 Tom wrote/directed/produced the feature-film cult-comedy, ALICE GOODBODY. He is co-librettist/lyricist of JACK, a musical drama about JFK which has been performed to acclaim in the US and Europe. Tom authored bestselling mystery/thrillers THE SIXTEENTH MAN, & NO PLACE TO RUN. His new novel, CROSS PURPOSES, introduces NY PI Barney Moon, who doesn’t drive, hates LA, and is stuck there. Learn more about Tom and his work at http://www.thomasbsawyer.com/. Tom: Full-time professionally, about 35 years. During my first career as a graphic artist starting in comic books, I did a little writing, but my focus was illustration. Tom: After about three years in Television. Tom: Coming to Hollywood, I’d anticipated directing, which was what I’d been doing back in NY (commercials, short films, some stage-work). I tried TV writing because I was assured that writers ran that business – which very happily turned out to be true. Tom: In TV and film, way surpassed them. Less so in novel-writing. Tom: Still the same – getting published – but with more and more focus on promotion. Very few of us can make it in the book biz without a lot of BSP (Blatant Self-Promotion), and other types of publicity. Tom: It’s a juggling act, but I enjoy it. I write and/or promote pretty much seven-days-per-week. Tom: Having JACK, my opera about JFK, produced by the Schuberts – and the thrill of writing for Angela Lansbury and Jerry Orbach for 12 years. Tom: Not being instantly recognized for my brilliant talent. Tom: Being compared with writers of the caliber of Elmore Leonard and Damon Runyon. Tom: Humor, economy, entertainment. Our mandate in TV writing: Deliver the audience to the commercial-break. They’re all sitting there with thumbs hovering over the channel-clicker. Bore them for a second and you’ve lost them. That’s the way I write novels. Read ‘em and you’ll see. Tom: It’s terribly important – strike that – vital – to know – with absolute certainty – that anyone who rejects you or your work is out of his or her mind. Believe in yourself! Tom: Persistence. Noise. Word-of-mouth. I’d say all of those, plus networking. Tom: Diesel Bookstore in Malibu, CA. CROSS PURPOSES (Mystery Thriller – w/Humor), 1st in the Barney Moon, PI Series. Tom: A routine arson case sends New York PI Barney Moon to what he regards as an Alien Planet — Los Angeles. His should-be one-day mission quickly escalates to murders and conspiracies, trapping him in Tinseltown – and in growing danger. Worse, Barney doesn’t drive, a problem he solves by apprehending gorgeous would-be car-thief, Melodie, 18. Narrowly evading and outwitting assorted bad guys, LAPD detectives and at the last second, violent death, this comically mismatched pair foils a bizarre terror plot just as it’s about to kill thousands. Amazon (print or e-book), and it can be ordered for you by any bookstore. There you have it folks! 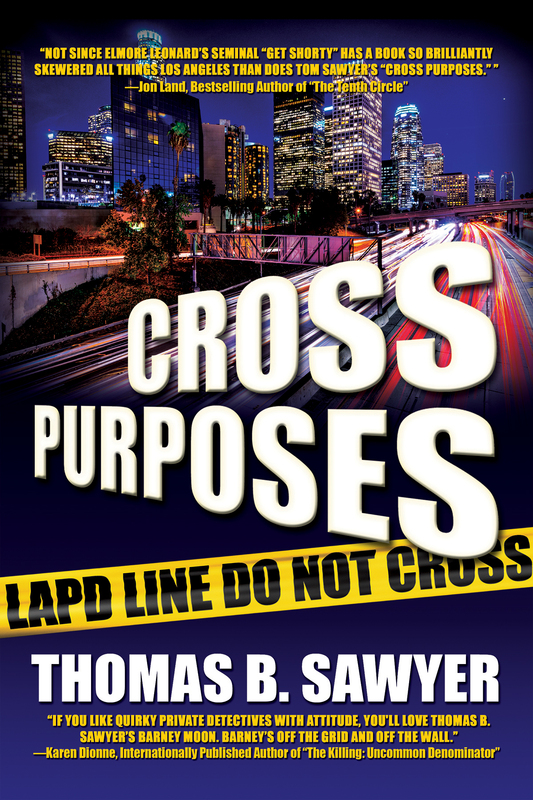 I strongly recommend you pick up a copy of Cross Purposes or some of Tom’s earlier work. I trust you’ll enjoy!